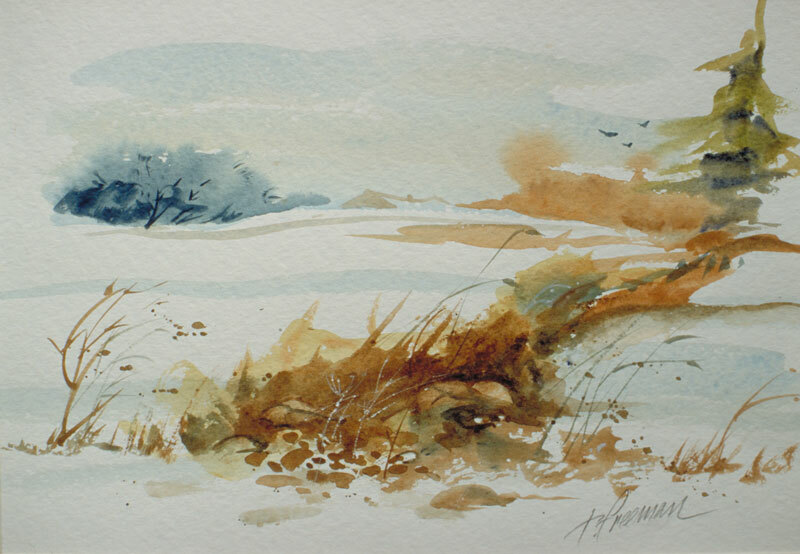 Thomas Freeman Original Watercolor Painting: "Walk in the Snow"
I kept this painting like a vignette, not painting all the way to the edges. Vignettes are really nice. Some say vignettes require the following of certain rules, but I don't usually worry about following "rules" in my work.